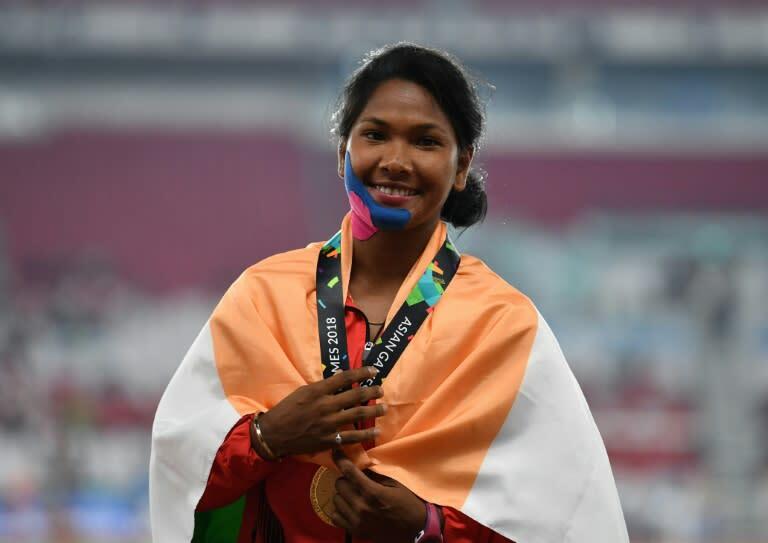 "After she won the gold I saw on TV that she had a deformity in her feet," said Sudhanshu Mani, general manager of Integral Coach Factory, a railway coach manufacturer that also funds training for athletes. Mani told AFP that Barman needs four different pairs of shoes for the heptathlon's seven events. "We are in touch with Nike. We are waiting for her to come back so that we can get her size and get the customised shoes made for her," he said, explaining that his company would bear the cost. A video of the family watching Barman's gold-winning feat on TV has become a social media sensation in India. The weeping mother can be seen rushing to a temple outside to thank a deity for Barman's fairytale finish. Basana Devi told local media that surgery to fix her daughter's feet had been impossible because of the cost. "How could I get that done? I myself was born with six toes on one foot. It is because of me that Swapna is this way. "I managed. We thought she would too." The West Bengal government has promised a reward of one million rupees ($14,110) and a government job for Barman. But she came back in time to finish second in India's Asian Games qualifiers.